It’s time!!! I’m so excited for this giveaway! 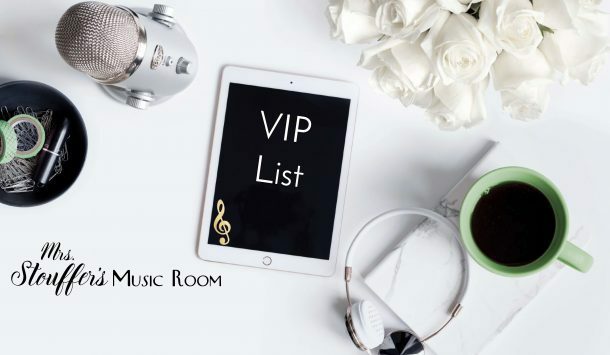 I have collaborated with some amazing other music teachers on TpT to bring you a giveaway. It will run from today Thursday, June 25th to Saturday June 27th! 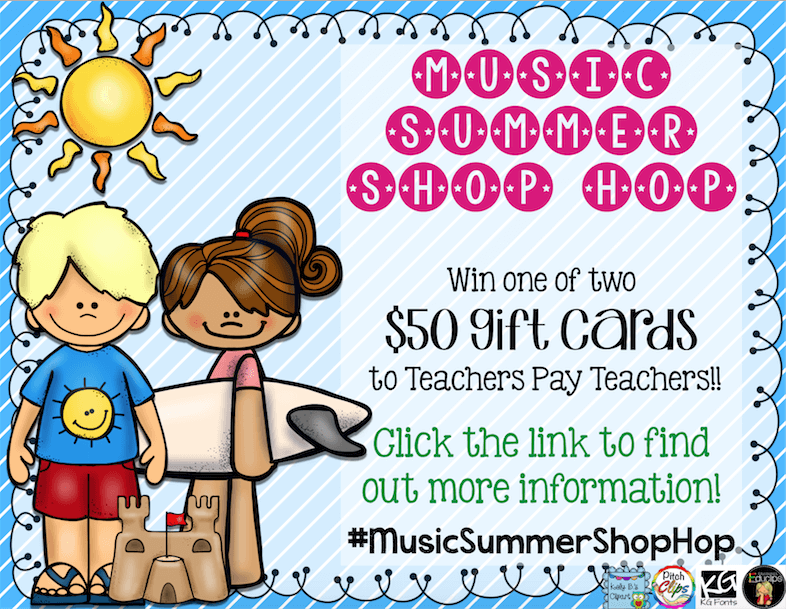 You can win one of two $50 gift cards to TeachersPayTeachers. I wish I could win! Now this time, instead of having to click lots of different links to different stores and answer lots of questions, you will do a Shop Hop! This means you will start in one store, and hop from store to store to collect a secret code. 1. You will want to start here at my friend Shelley’s store to get your first letter. When you have 19 letters, you will have the secret code! 2. Don’t forget to follow while you are there! This is the fastest way to see new products, freebies, and sales! 3. Now click “next” on the image to go to the next store and get the next letter! 4. Once you have the secret code, go to my Facebook page on the Giveaway Tab to put in the final code and enter! Don’t forget to like my page while you are there! The giveaway runs from June 25-27th. Winners will be announced on June 28th!